I want to pose the question, Sir, as to whether we have reached a stage when people think that the law enforcement authorities can be taken for granted and that the law enforcement authorities are not a deterrent to whatever activities they are engaged in? Non-observance of the rule of law can only result in chaos in governance. I do not wish to exacerbate the situation by making any remark that may not be moderate, but I do want to pose the question as to whether such incidents happening intermittently and frequently are indicative of a purely law and order situation or is there a deeper dimension to it? To what extent is the role of the State responsible from the point of view of the deeper dimension? Are all citizens in this country treated as equals? Do all of them have justice on the basis of equality under the present structure of the State? Does the structure of governance in this country, as the State is presently constituted, not have an impact on the behaviour of different citizens belonging to different communities? Hon. Rajavarothiam Sampanthan to second the Motion. Thank you, Hon. Speaker. I will second the Motion moved by the Chief Opposition Whip and may I have your indulgence to say a few words. There have been two incidents, Sir, that have occurred recently: one in Ampara a few days ago and the other one, more recently, in Kandy. The incident in Ampara occurred consequent to a suspicion pertaining to some activities in an eating house. If what is being said had happened in that eating house, I think, that is a matter which needs to be investigated and appropriate action taken against the persons responsible. But, instead of such action being taken according to the law, violence has been unleashed against a particular community – eating houses have been destroyed, a mosque has been damaged and other business establishments have been damaged. A large crowd engaged in these activities. They went to the scene of these activities using a large number of motorcycles and a bus and engaged in such violence. It appears that the police station is not very far away, but these people seem to have been able to engage in all these activities and get away from the scene without their activities being stopped in anyway by the law enforcement authorities. A few days later, consequent to an accident where a youth had been injured, some other youth of the same community as the injured youth had set upon the driver of the vehicle responsible for the accident and apparently severely assaulted him. The youth so assaulted succumbed to his injuries in hospital. Consequent to the death of the youth, who happened to be from the majority community, a large number of shops, four mosques, a large number of houses and members of a particular community have been attacked. The properties concerned – the shops, the mosques, the large number of houses – have been very severely damaged and members of a particular community have been physically attacked. I am informed that one person was killed as a result of being caught up within a fire that emanated from a burning house. Such incidents, Sir, have occurred in the past too. But, for some time now, particularly after the change in Government, we did not hear of such incidents and I want to say that the occurrence of such incidents is clearly unacceptable. It is indicative of a sense of impunity. People seem to have the confidence that they can engage in such acts and think the arm of the law would not reach them and that the rule of law would not be enforced against them. It is not sufficient for some action to be taken after the incident is over. The role of the law enforcement authorities is called into serious question. Do the people of a particular community have the feeling that they are superior and others are inferior; the other persons are second-class citizens while they are superior citizens. What is this attributable to? Is it not attributable to the nature of the State, the structure of governance in this country? What is the point in your having four or five Ministers of a particular community in your Government when those people whom the Ministers represent are not safe in this country? What is the point in positions of power and influence being given to persons of different communities if they cannot achieve for their people, what their people deserve? If that is not achievable under the present State structure, under the present system of governance, there must be alterations and amendments and advancement of that system of governance to enable all the people in this country to feel that they are equal without any one community feeling that they are superior to the others. It is my submission, Sir, that such incidents are not purely a law and order situation. There is a much deeper dimension. Some people feel that they are superior and that the others must submit themselves to such superiority. This must be eradicated. I think that is the prime cause of the trouble. It is, I think, Sir, the duty of the State to ensure that the system of governance in this country is altered in such a way as to ensure that all the people of this country feel equal. Such incidents, Sir, have an impact on the county as a whole. Our country is facing numerous difficulties on the human rights front, violations of human rights laws, violations of international humanitarian laws, on the question of the ascertainment of the truth, on the dispensation of justice and on the question of accountability. Our country is facing numerous difficulties in the international arena. We are called upon to answer many questions. Our economy is in a perilous state. The country must come out of all these. The country must be redeemed from all these. We have brought this situation upon ourselves by not doing what we needed to do at the right time. If what had to be done was done at the right time, this country would not have come to this situation. This country would have been a very advanced, developed country like Singapore or Thailand. Other countries are moving forward. We are moving backwards. That is what is happening in this country. This situation must change and I think, Sir, one of the primary changes that we need is that there must be a change in the structure of governance. That is fundamental. So that Sir, I would respectfully urge that while the law enforcement authorities do pull up their socks and ensure that all citizens of this country are treated equally, we also need to address the most fundamental issue of the structure of the governance in this country being altered in such a way that you serve the needs of the people in the way that people desire, not merely by conferring positions or power on a few individuals. Of course not all citizens are treated equals including Sinhalese, Tamils, Buddhists, Hindus, Muslims, Christians, ….. . Some are more equal than others, including Sinhala/Buddhists, politicians, state functionaries….. .
How long you been in this country and in politics? Remember it is not the conventional politicians who are suppose to be in control as in your younger days, it is the Sinhala/Buddhist fascists who are in control, be it in state institutions, business, academic institutions, armed forces, police, ………….. Sangha, ………. Out of all the Sinhala Buddhist Chauvinists on these forums, I want to make a special mention of the unscrupulous Dayan J. He should take full responsibility for whipping up Sinhala Buddhist populism to such an extent that it is reverberating in all corners of Sri Lanka. I am not exaggerating but, as Sampanthan said, the Sinhala Buddhist chauvinists are totally emboldened; they have no fear as they know that no one with touch them. There is a direct correlation between MR’s election sccusses to the rise of Sinhala extremism! Well said BI! DJ is one of those despite his trying cannot disguise his real self.. a real racist. That’s why I consider DJ a pathetic parasite normally don’t read or post on his crap. Just cut him off he is not worth even mentioning. Sinhala Buddhist racists, saffron thugs and corrupt politicians are above the law in Miracle of Modayas. This is what the Political Culture of Impunity – for Hate crimes. financial crimes and corruption – means. This Culture of Impunity is carefully cultivated by Bondscam Ranil and his foreign handlers in the name of Fake Reconciliation. Reconciliation is another money spinning international industry for foreign funded NGOs. Where is Jehan Perera and all the peace and reconciliation NGOs who are doing projects since all these years? What is the impact of their projects and the $$$ spent on reconciliation soap operas that distract us from the moral turpitude of the great liberal leader Ranil Wickramasinghe and his Jarapalanaya govt of Royal boys that has institutionaliszed the culture of impunity for Hate Crimes and Financial Crimes while destroying law and order and Justice institutions. Ranil thinks that Parliamentary privileges means that corrupt politicians and their saffron Thugs are above the law. Ranil, MR and Dayan should all be put in the same prison cell. It is true that the so called educated opportunistic fundamentalists like Dr. Dayan, Dr GL Peries, Prof. Vitharne are most dangerous racists. They play double game. One hand they are behind racism and other hand they pretend they are not racists. I would say it is a well planned attack on Muslims and now they pretend they want to take action against the perpetrator because then they can make a propaganda that the govt is against Sinhalese. The alarm bell should have rung 50 years ago when able bodied people qualified or otherwise started leaving the island. No one in his/her mind contemplated the future consequences of migration. Now the island is the home for laziest bunch of kallathonies, crooks, thugs, rapists, drug dealers, crooked and racist politicians, thieves, ……………… and more than 300,000 war criminals and about 100,000 crooked policemen. Imagine what the future hold for the island and future generations. What are you talking about. Where (Remember it is not the conventional politicians who are suppose to be in control as in your younger days) were you since independence. You call racist SWRD , JR conventional politicians. They were the modern day GEMUNUS. Got it. GOOD speech. But there appears to be block in the Law Enforcement thus it could not flow properly. May need a ‘transplant’ in the parliament by taking out the blocks. May be the Saffron rob too have to replaced. and the fact that they think they are superior, and the minority, inferior. What arrogance. Going by how they behave, like uncivilized goons, their shoddy behavior makes them totally inferior to all decent Sri Lankans. They seem to have time on their hands, no jobs, and hatred in their hearts. They are a disgrace to this country, and their religion. Shame on those who wear saffron robes and spew hatred, incite the mobs, and harass the minority people. They are a detriment to peace and progress in this country. Shame on those who wear the uniform of this country, who look the other way, and do nothing to safeguard people and property. God bless you, my dear rioting Sinhalese! And then pump your chest and call yourself a Buddhist! When exactly the same happened to the Tamils in a grand scale, people did the same thing including the Muslims. I am not saying that what goes around comes around but people turned a blind eye. Now is the turn of the Muslims; I am glad that many Tamils are speaking out against it! You are at least 10 years late. You should have written this when the same things happened in the far North. I thought you have your Muslim Home Guards to protect you. How are you after long time. I thought it is because you could not stand your own bigotry that’s why you completely vanished from CT for many years. Who fought for whose freedom? I was in the Planet of The Apes where I found a lot of Sinkalams like MR, Gotha , Basil and also RN & MS ( bigots). I think he was at the same place Ponnambalam was when he risked his life to run to the queen in 1915 to save his beloved Sinhalese friends. These are all useless talk machang. We displaced Sinhalese & muslims within 24 from the north. Muslims from the East and North/West…………..
Sampanthan was mum….. Do our representative have a right to speak?? They acted as a proxy to LTTE but never visited the North or to their homes. Yes some rich are always above the law! Like Kelly Maharaja, Arjun Mahendran, Ravi Karunanayaka… List goes on! when LTTE chased out Muslims from the Tamil homeland, when LTTE showered the KAthankudi mosque with bullets where was Sambanthan. 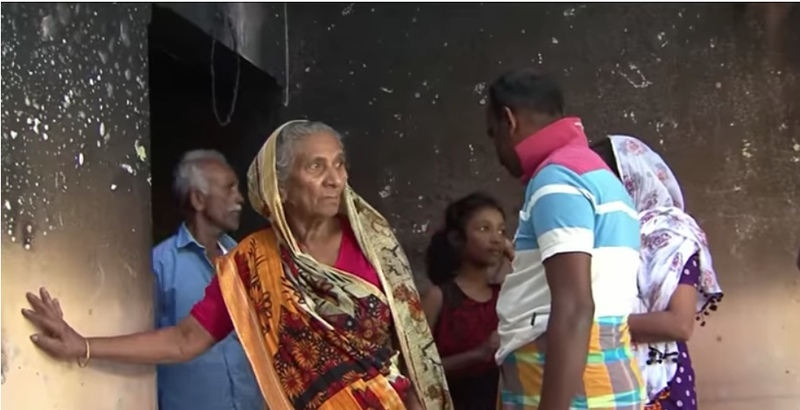 Do Muslims and sinhala peole have rights to live in the Tamil homeland ? Norht and EAst should be only Tamil. So much for Equality. Where were you when Premadasa and his army chief awarded LTTE, arms, ammunition, funds, diplomatic cover, medical treatment, medicine, …. when it was fighting Hindian IPKF? Where were you when your great liberator or great hora Dr Mahinda Rajapaksa (LLD + 3 X PhD) bribed billions of rupees to VP for his services in 2005 presidential elections? Where were you when hundreds of thousands of innocent civilians were killed, kidnapped, made to disappear? Were you sucking your thumbs while your mum sang lullabies, “doi doi doi doie baba”? (And) it flooded all over the banks. Mr. Sambanthan: Why Mr. Sumanthiran won’t become the TNA leader. Is that equality. There’s genuine attempt through the constitution to treat all the people alike. Unfortunately minorities face ill treatment as it’s highlighted when social conflicts arise between different communities. In fact it’s something to be ashamed of for the majority. But what on earth has made the police as well as people who are very proud of their great history & Buddhism to behave like that? What’s the practical difficulty for police to treat them with dignity? Have the minorities lost their dignity through the eyes of majority due to their unexpected behavior? The language problem; so Tamil also has been made official language but can we force majority Sinhalese to learn Tamil or minority Tamils to learn Sinhala? Isn’t it reasonable for Tamils to learn some Sinhala as well instead of demanding totally separate rule for them in the North. Is it reasonable for SL Tamils to make stronger ties with TN against majority Sinhala people? Hadn’t it been worth for Tamil people to fight JR regime in 83 with moderate Sinhala support instead of armed struggle for a separate country with sympathy from India & western countries? Can’t they stop making hate speech towards majority on international media? Aren’t these facts common to Muslim people as well? Why can’t both Tamils & Muslims to volunteer to enjoy common personal law? Mr Sampathar pre warned the Sinhala Buddhists not to attack Muslims. This was after the Jaffna inhabitants surrounded the Mullative Military camp and demanded that the Army leave Jaffna. And the UNP Police was no where to protect the Camp or prevent the unruly Mobs who were surrounding the Camp and harassing the Soldiers. Minister Kiriella whose UNP Stronghold is the hot bed of Muslim Sinhala clashes said the Govt did not have proper Intelligence. Did Mr Sampathar have better Intelligence?.. UNP and the UNP Faction of Sillysena’s SLFP wants Field Marshall Ponny as the L&O Minister to control the Police. And the Field Marshall openly said the SLFP Rajapaksa Faction does not want him because He will go after the Rajapaksas. That is the level of Banktrupcy the Yahapalana Law and Order has fallen into. 71 year old Tamil American was killed in Mullative recently, because he came to take his Land back from the lots already Mr Sampathar’s NC has received from the Army. UNP Police again is yet to make arrests. But the same Police belted the crap out of Rajangana Youth with Water Cannons and Long Batons. Now the GFT, Suren , Canadian PM, American Under Sec are all demanding that their UNP Government get their act together and fulfill the undertakings of the MOU with Dr Ranil and Mangi.. I would prefer the Leader of the JVP to be the Opposition Leader instead of TNA Leader. The unequal mode of governance started with “Sinhala Only” and the constitutional enactment affording ‘foremost’ place to Buddhism. Look at Germany and Europe of the thirties. Europe took ‘White Supremacy’ for granted. Hitler blamed the minorities for all the ills of Germany. Europe probably agreed. Hitler went the next step and suggested that the Aryan-Germans were a super race. The rest is history. In Lanka we were lulled into a mindset based on Mahawamsa. Now we find that only a select few may hold the reins. We are left with no choice other than accept this! Could we have some detail. There is a simple way show solidarity is when the entire Parliament /Cabinet/PrimeMinister/President/head of All the forces/ all the Party representatives/all the Religious leaders should attend each and every funeral that is related to riots/violence as well as visiting the injured/families will get the message across to the people public for a better tomorrow. This should be telivised and speeches made. We should have a “national memorial” where we do the final respect for all those who died in/for the country…ie the citizens who died as the entire nation stood by…………..helplessly. There is no other important issue for the elected officials to attend than this if anyone care for their mother land. We should expect/encourage foreign diplomats to pay respect too will drill the message to the criminals too. I know what this means as when my Father was gunned down by our “own children” there were hardly any representation from other parties expressing horror nor any last respect too???? This was in 1981 development council election in JAFFNA……..now nearly 40 years passed and few hundred thousand lives have been lost we still do not know how to respect our children irrespective of their race/religion/language/cast/class……….killed hooridly their own as the entire nation watched the horror on Social Media. We need to change and change fast otherwise we are all doomed. The children who witnessed these horrors need special councilling for their rest of their lives and we should request international phychaitric help to heal our children from carrying this burden forever. It is “we” and there is no “them and us” and is our children traumatised forever. First tell your own Demalu to treat their own lot as equal. In Yapanaya, Wellala Demalu do not treat Daliths as equal. Yapana Demalu look down upon Tirikunamale Demamu. Tirikunamale Demalu look down upon Madakalapuwa Demalu. All Demalu in North and East look down upon ‘Wathu Demalu’. None of these bloody INGOs who talk about human rights talk about how Demalu discriminate against Demalu. He will turn around and tell you to p**s off. You got lot of learning to do and put it to practice in your back yard. Go learn to treat all people well. Go away we know you are in caste denial. Yes I agree with you entirely with regard to the “institutionalised racism” in the form of cast that existed for many century and is still very alive amongst Tamil community to date indeed. It is so engrained in the society even after this miserable war/generation change this mindset continues with certain impunity within the social settings. However much I disagree with TNA policies since inception I try not to mix the past with the current mindset of the TNA or any other parties in the north focused on Tamil issues (Anyone try to paint Tamil issues to the Sinhala politics “alone” is not qualified to be addressing Tamil issues full stop). However I do agree with the speeach of an elected politician and a leader of the party speaking for our countries victims without projudice as an opposition leader is most welcome. I personally think the speech was spot on……a humble message for us to focus. Just one observation is we need to use the names of the diseased in the parliament such they do not just become numbers…as we counted a lot of “bodies”in the past without ever mentioning their names. All of us need to change and reach out to each other is where the solution lies. The “mother nature” who designed us /put us in this paradise of a landscape is telling us the rules of cohabitaion is not equal to law of the jungle and we need to use the amazing power of our brains to make the change as required to design/device a future with sustainability in mind. The fact is cloning is not evolution and we spend time cloning the next generation with our past is against the natures law/evolutionary theory. Let us look forward to a future with solutions found in “out the box thinking”. Then again can not come from “lawyers come politicians” from all sides……we need political scientist/economists to fix matters and is always the “economy stupid” to eradicate poverty through out the country. We also need to carefully define “development” as all the lessons learned from the developed countries need to be incorporated in the “Sri Lankan Master Plan”…..create a focus group urgently and the politicians need to get short course on what to focus/how to interact/respond to their respective constituents needs on daily basis in line with the national policy/bigger picture as guided by the focus group. I heard, Hidu Temples in the North follow CASTeism because that is what Politicians want. The official Leader of Opposition Sampath in Parliamentary that numbers are in minority. But having privileges of unethical and undemocrcay norms of that unprecedented situation the country since 2015 January 9th. TNA being to leader of Opposition ? In fact TNA of Samapathan has been installed as a leader of opposition of UNP regime in power wrong policy by UNP-Ranil Wicka’s -” Democracy “! Result of that TNA has which violated Parliamentary majority rule of that the law of democracy. Our country set that example which is NOT exist nowhere in any part of democratic world and anti-democratic norms against People’s sovereignty in locally and Globally. 1 Muslims over one Billion in World. 2 Tamil in Tamil Nadu is undoubtedly Home land Tamil speaking in world 75 millions in Tamil Nadu? Tamil speaking living Malaysia, Singapore, Fuji and a crossed the European countries, Canada Aus. and USA. Having better quality of lifestyle all Tamils poverty living in Tamil Nadu-India! 3 We are in Small is world population is concern that Sinhalese CANNOT bully or dicramantion of ‘Muslim and Tamil’ in Globally or locally We are of 21 million population in Island out of that 78 % are of Sinhalese Buddhist and Christians only. We are less than .001% total world population . We are currently which run by puppet governances was set-up by foreign forces since 2015 January 8th ! Thank you for sharing your thoughts/concerns as a fellow citizen of Sri Lanka. I am a 55 year old Sri Lankan man born in Karainagar/Jaffna. As an independent nation and a Sri Lankan citizen I have no divisional politics towards anyone to solve my “day to day” problems be. I can comfortable say most of Sri Lankans always fell into this category and this applies to this day too. As a “freed” people from colonial rule for the past 70 years for some unknown or known reasons we have been falling apart “feeling insecure in our own soil with our own people”? This could be due to -In the process of finding “solutions” to our own issues we have had various political entities/interest groups set out to represent the citizens either by democratic means or at the gun point(some time bit of both) for their perceived “solutions” using mostly unacceptable methodologies/means.The failures/consequences of such miserable failed venrtures begs us to revisit all our ignorant politics hope you agree. Not to mention geo political masters too played their part letting this to go on for so long until they get what they wanted. Unfortunately we are where we are and need to “get out” of this scenario I hope you agree too. Therefore please please do not interpret any “going on” as a Sinhala or a Buddhist issue and the world is out to get “them” for some reason is not a correct/fair narrative nor is the ground reality. Infact the so called “minorities” (I am not sure how this DEFINITION came about – possibly because everyone set out to protect or make living from their own imaginary groupings)/our fellow citizens have been suffering more than their fair share in this journey. Among developing countries in the world , specially in Asia, Sri Lanka treats minority equally. There may be some issues here and there. Over all doing better than other countries like India, Malaysia, Indonisia, Thailand. Burma and middle east countries. The poverty is the main reason for all these problems. That is why we hardly see these problems in developed countries. Just to complete my above response you I personally think the international forums you mentioned are not appropriate and they do infringe on several countries sovereignty in an unprecedented way. The flip side of the argument is they get to be there because they seek protection under this umbrella when the respective states who suppose to give them the dignity fails? it is same as Buddhism or any other religions group/rally around each other in the international stage too…celebrating the preaching of Buddha. With regard to language most of the Sri Lankans(including Tamils) speak Sinhala and some speak Tamil. Languages will grow when the people grow and is not the other way around. Religion and Language can not be connected as every human choose for themselves as to who they pray/life guidelines to follow etc irrespective of their language/colour.creed etc. We just need to look at the religious principles of all the faiths and comply to the law of the land then peace and prosperity comes naturally. This applies to all of us once we overcome the fear about each other. Our hearts and minds as well as the prayers goes out to all the affected communities irrespective of their identities. My school in Karainagar carries one sentence “You be honest yourself” and think sentence alone is sufficient to remove the fear……the fear here is “us” to “ourselves”. 1 The crux of matter is that TNA working on out of Democratic orbit in Island. And her(TNA-TULF-FP) working on politics of policies are in very inceptions that Noting to do with National Political agenda of Republic . While TNA being in always a anti-democracy and anti-establishment standard of set of politics which undermined tiny- Island democratic governances. TNA has no compromised values of democracy in deeds and norms. But it has been an uninterrupted listen to all power-full foreign of USA, UK, EU and Indian super-powers in Internationally. In locally sided with that Gun-Rule politics of Tamil Terrorism of LTTE! And Tamil nationalism base on politics of chauvinism. TNA is Not Recognized Sovereignty of People of Lankan. More on our differences arise by democracy which is that TNA working are wider gap between nation democratic state and its rule of parliamentary governances. Sri Lankan. What ever ethnic roots of reasons put forwarded TNA of Samapthan are irrelevant that ours mode of Capitalism .I view that our differences of so-called “discrimination” of Tamils and Muslim by Sinhalese- Buddhist get reflected in every important decision that FIRST WE Make as a Nation. 4 TNA as a democratic alternative entails trust and a social compact ,an understanding of responsibilities and accountabilities the rights of different ethnic communities. Which is far from ours civilization and modernity of ongoing globalization of democratization of New world Order. I agree with you our country has become divided from 40’s and 50’s – All Ceylon Congress splits to become UNP and Tamil Congress, then Tamil Congress split to become Tamil Federal Party and Tamil Congress, and then UNP become UNP and SLFP. Then each parties fed into each others ego and drifted the people apart. A bunch of “L” board Lawyers “come Politicians” (I do not mean all) made a living without any suitable qualification to run the country. If these politicians could not manage 5-6 million then how could they manage 21 million people now? with the same old political narrative applied for the past 70 years by the same old parties be it north or south? It is a miracle we still have a country……….the credit goes to the people for being so tolerent absorbed all the inadequacies of their leadership/MP’s for 70 years. This was a blind leading the blind scenario when we needed the most visionary community leaders thrashing their heads together for a united country. I think is time for an entirely different movement with “One SriLanka” ideology to bring all the next generation of the children together. All the new parties (remove old parties from the system as superseded/obsolete) with young educated Economist/Political scientists/Engineers/City planners/Scientist as politicians for a brighter future who knows when to play politics and when to be patriotic. They will all have a job specification/key performance indicators & continuously assessed yearly and the details published. There should be a standard criteria(s) for selecting a candidate for all the elections in the country that should be adhered to by the parties/this selection process should have an independent body supervision too. We should have Tamil candidates in Sinhala area and vis a vis…..will have amazing results to unit the country. Yet another display of hypocrisy by Sampanthan, the former mouth piece of the Tamil Tigers, talking of equality & minorities. Even his position in parliament as ‘Leader of the Opposition’ is so incongruous and simply disgusting. Is there any precedent or legal basis for a guy like him to occupy such a position in a parliamentary democracy. 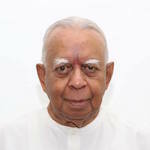 Prior to the end of the war in 2009, Sampanthan, was the mouth piece of the LTTE in parliament. He would not waste his breath or say a word to denounce the killings of innocent Tamil , Moslem, or Sinhala women , children, or men by Tamil Tigers. He had no time to talk of such trivial matters. Where was Sambanthan when Muslims in the North were evicted from their homes by Prabhakaran . Where was Sambanthan when LTTE executed, unarmed 300 police & army personnel, who surrendered to the lTTE – under the peace agreement brokered by Ranil and Solheim. Has he ever spoken of this atrocity by his LTTE . .
Or for that matter, has he ever spoken of the denial of basic human right in the North to low caste Tamils; denial of entry to low castes into Hindu Kovils, denial of access to drinking water wells, or even the freedom to attend government funded schools. Dr Thiagayaraj V……on comment by you! Sorry to I am ordinary citizen of Sri lanka. The needless to say I read politics in objectively. In that view current political of governances Island not that interpreting politics of whole Island by TNA Or UNP or SLFP or JVP or SLPP outdated. By that fully not that correct concise of convenience model and path by old political set of policies , it need real democratic change of which suited 21st century. And as well as want to be laid solid democratic foundation in our soil. Is new task of modernity of democratic order of Sri lanka. This is far reaching task that is mission undertaken by vision of the political philosophy by leaders of our nation? We are still far from that. Please do that understand that more people has become professionally or academic qualification are not ready to analysis and give leadership to country New Road map. Which is that political myth ? That political classes and parties take into account new classes changes came into being 21st century by leaders of new politician and their parties that re-shape entire political saga in our land ?. But political solutions is different from other sphere phenomena in world. It is complex development can be realized by of men or women holding which essentially want philosophy of political of that serve the billons of Masses of people globally and millions of people in our Island and their World Outlook..